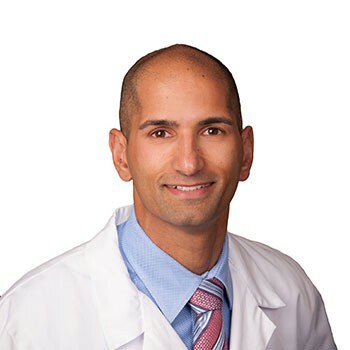 Premjit (Pete) S. Deol, DO is a fellowship trained, board-certified orthopedic surgeon specializing in the treatment of foot, ankle and lower leg disorders, with an additional focus on orthopedic trauma. 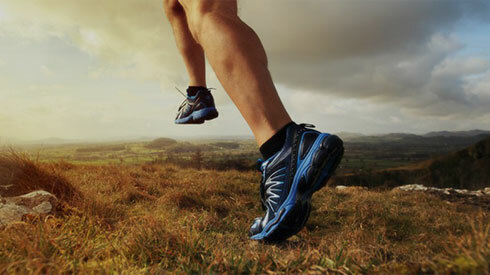 Dr. Deol’s clinical practice encompasses patients of all ages and all activity levels. He is a consultant for several universities and colleges in the metro-Denver area, as well as serving as a resource for local amateur and professional dance companies. His primary focus is treating sports injuries/arthroscopy, arthritis/total ankle replacement, cartilage restoration, deformity correction of the foot (bunions/hammertoes), deformity correction of the ankle/lower leg and traumatic injuries, including complex fractures. Dr. Deol currently serves as the Clinical Outcomes Director for Panorama Orthopedics, where he provides direction and facilitates the collection and interpretation of clinical data for all Panorama physicians. This focus is directed at improving all of our patient’s outcomes and creating best practices amongst our peers. He also maintains an active interest in teaching resident physicians and participating in clinical research. Prior to his medical training, he was raised in the Chicago area and attended college at Macalester College in Saint Paul, Minnesota. He earned his medical degree from the Kirksville College of Osteopathic Medicine at A.T. Still University in Missouri. Dr. Deol is one of our osteopathic physicians, combining his traditional medical school training with the osteopathic principles of treating the body as an integrated unit which links structure and function. Following medical school, Dr. Deol completed his orthopedic surgical residency training within the Cleveland Clinic Health System at South Pointe Hospital. He then went on to train at a top tier sub-specialty fellowship in foot & ankle reconstruction with the Orthopedic Foot & Ankle Center affiliated with Ohio State University, prior to joining Panorama Orthopedics. Outside of work, Dr. Deol priorities are spending time with his wife and German Shepard Wrigley. They enjoy being active outdoors ,mountain biking, skiing and hiking. Lisa grew up in in Lake Zurich, Illinois. She completed her Physician Assistant training at Philadelphia College of Osteopathic Medicine. Following the completion of PA school, Lisa worked at Brigham and Women’s Hospital in Boston, Massachusetts, where she worked in Orthopedic Surgery, specifically, joint replacement. Lisa is excited to be working with Panorama, where she works with Dr Deol, a foot and ankle specialist. In her free time Lisa enjoys listening to music, running and cycling.